The site of the old Mercedes dealership at 520 West 41st Street has seen several prospective designs covered by YIMBY over the years, including a pair of connected skyscrapers that generated a substantial amount of buzz. Now, permits have finally been filed with the Department of Buildings for the site’s residential tower, which will rise 57 floors and 723 feet to its rooftop. 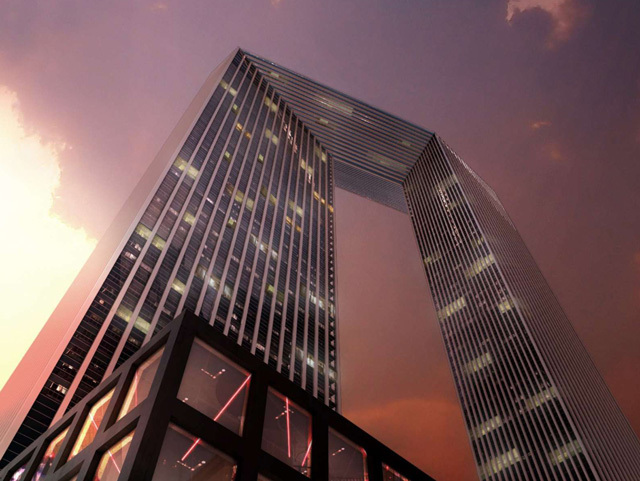 CetraRuddy is designing the tower, which will be the first of two buildings to rise; it will eventually be accompanied by a commercial high-rise of an even larger scope, with the aggregate total floor area amounting to about 1.6 million square feet. 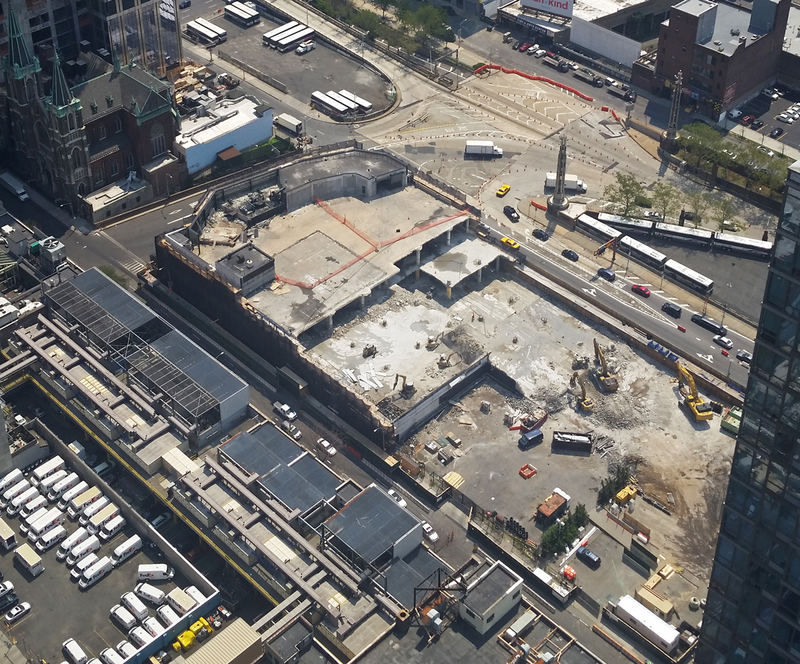 The residential tower will also contain a substantial commercial component, totaling 62,960 square feet, and spanning the first through fifth floors. The Schedule A for the building shows an extensive amount of outdoor space on the fourth floor, to accompany a “physical cultural establishment”, perhaps referencing the elevated portion of Hudson Park and Boulevard, which will eventually stand next to the site. Above the fifth floor, the tower will be exclusively residential, holding 499 units in 547,718 square feet of space. As YIMBY has previously reported, those are likely to be condominiums. 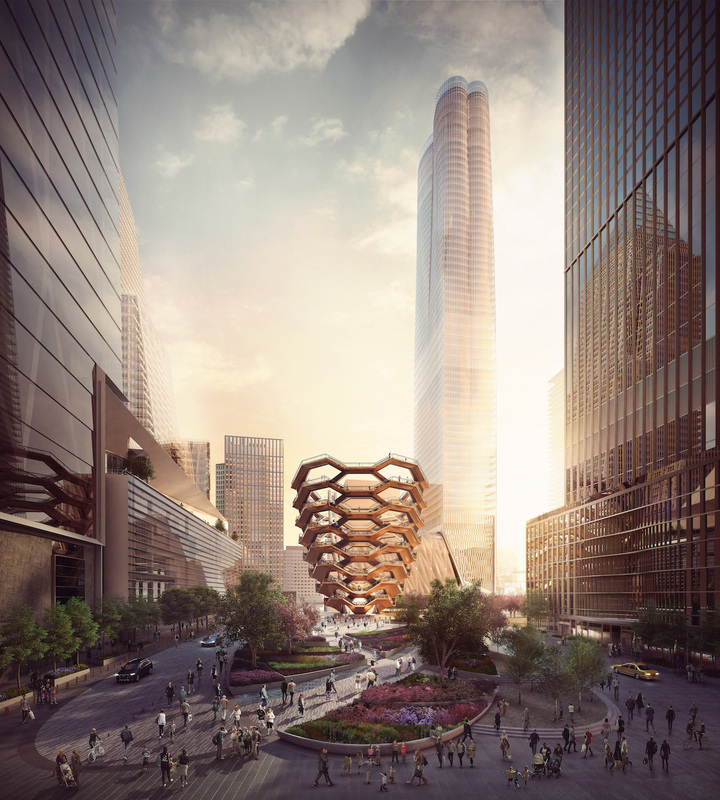 While the previous designs for the project have ranged from the extremely creative to the supertall, CetraRuddy’s plans will likely sit somewhere between the two versions. 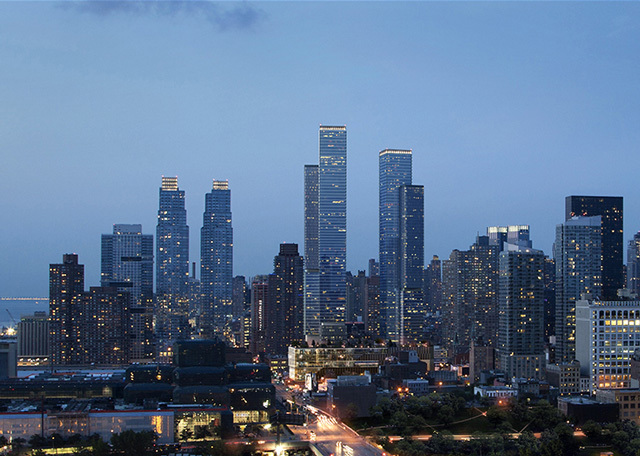 The residential component will stand slightly taller than neighbors like Silver Towers, making it prominent on the skyline in its own right. Though the commercial tower may be larger in terms of total square footage, the larger floorplates that generally typify that kind of development in New York City means it is unlikely to be substantially taller than its sibling. No completion date has been formally announced, but with demolition on the old Mercedes dealership completed, excavation work can begin as soon as the applications are approved by the Department of Buildings. The old plans for a 1,400-foot and 106-story tower also came with a tentative expected delivery date of 2020. 4 Comments on "Permits Filed for Silverstein’s Massive Site at 520 West 41st Street"
New Los Angeles (just kidding), I cannot decide that I hate which one on the two versions. Where did the Mercedes dealership relocate to? Probably it was relocated in so called “Mercedes Hause”, few blocks away north, a Zigzagging Tower of max 31 floors. It was finally closed about 8 years ago, and new Zigzagging Tower “Mercedes Hause”, (I believe it’s a “hause” since it’s a German), was built during Recession, in two phases, one part to max 19 floors, then last part from 20 to 31 floors. Check Google. So, don’t cry for this. Previously, these site stay vacant for 8-10 years, and plans to build something like 100+ floors existed even before Silver Towers were completed in 2009. Btw, Silver Towers were also completed in two phases, first one tower and then other in following year, both were completed by 2009, first tower in 2007. Silverstein tried to make a Skyscraper microdistrict here, first aquired River Place 39-41 story 2 tower complex, then built Silver Towers, in place of planned 35-55 story hotel-tower (by Magic Johnson athlete), then this plan for west 41 street, existed over decade. Mercedes Hause, is a home for giant Mercedes dealership, NYPD horse stables, and apartments started on floor 4 to 31, increasing height of each floor by 1 apartment block. It’s a real “Bauhause of Manhattan”!!! Glad that finally stall site of over decade long moving on, and with tower height more reliable on Unique NYC Skyline, especially Midtown Manhattan, thanks for FAA restrictions, Taller buildings belongs to 57th and 34th street Corridors, while 42nd street corridor have only exception in Times Square and Grand Central area, when BoA Tower mast at 1200′, CondeNast at 1100′, NY Times Building at 1050′ and under construction OneVanderbilt at 1401′. But these all with Tower mast or spires, so it’s a natural to have 700-800′ maximum height buildings in both ends of 42nd street corridor!! !